Blackdragon's Crafts: DAY #5 OF THE 31 DAYS OF HALLOWEEN. DAY #5 OF THE 31 DAYS OF HALLOWEEN. During this month long amazing event the full blog roll will be at the top of the side bar. For all the info on how to win daily prizes and the HUGE grand prize please visit TERRA'S BLOG. a 'Beloved' rune from third coast. See you tomorrow for DAY #6 both here and at DE-STEMPELWINKEL. Each door is so amazing! If I ever get a chance to go overseas, I'm going to see this in person;). Lovely work! Each Vamp super scary and lookin' great in green. Love how the Beloved red heart is calling to them. Quick question, did you dip each heart and them assemble or assemble each and then dip the whole piece? Eeek! This is Awesome. What a creepy Hallloween treat! Two excellent vampires and an amazing heart! These doors are such fun. So many great details and textures--the heart is awesome!!! 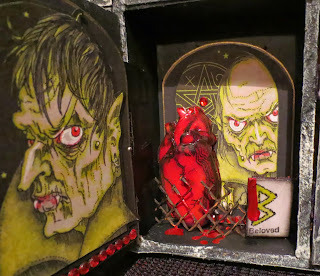 Thanks for using Baron Blood and the Count from my digi collection-they didn't come out this year----hmmm maybe one of their victims took sleeping pills??? That is one spooky image!!!!! love the mystery behind each door! Love this....both images are just fabulous and spooky! 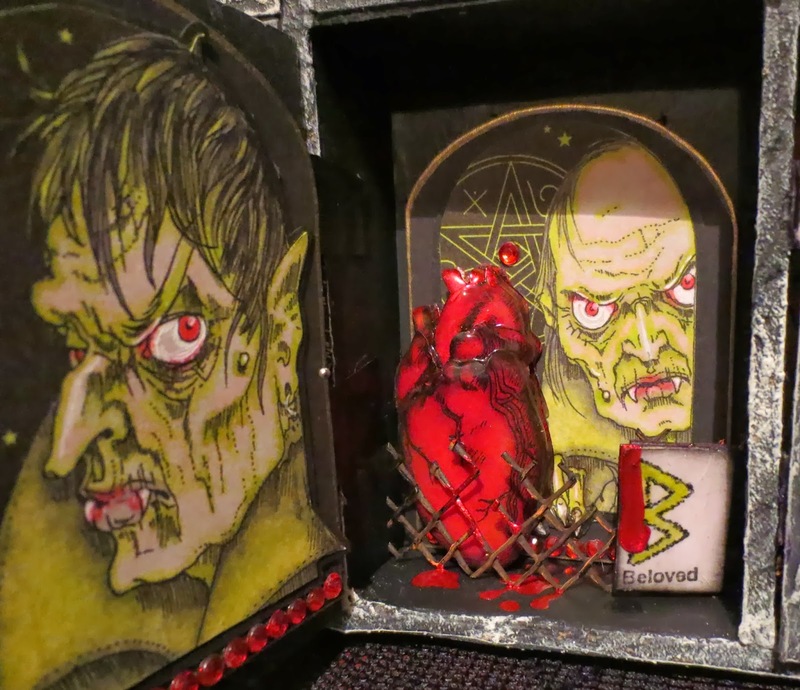 Fangtastic Door #5 BD, that dimensional heart is freakishly juicy and gorey! Yes this is very creepy. Nice! Very creepy vamps. Great surprise inside door #5. 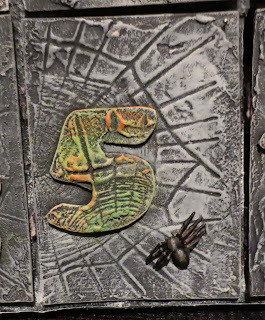 What kind of ghouls are hiding inside door #6? Great door! The Vamps are great! these two guys are so creepy! I love your coloring! Your coloring is amazing. I love Day 5. Oh my how Hell'ish and creepy looking... I LOVE it! Great job as usual! DAWG, you are gonna kill me before this is over!! Simply Fabulous!! Freakin' amazing! I love that 6 layer heart, I really need to get a melting pot. BUY MY DARK ART & TRINKETS HERE! I am very proud to design for Barb.